Truly, there’s nothing worse than a fanboy. 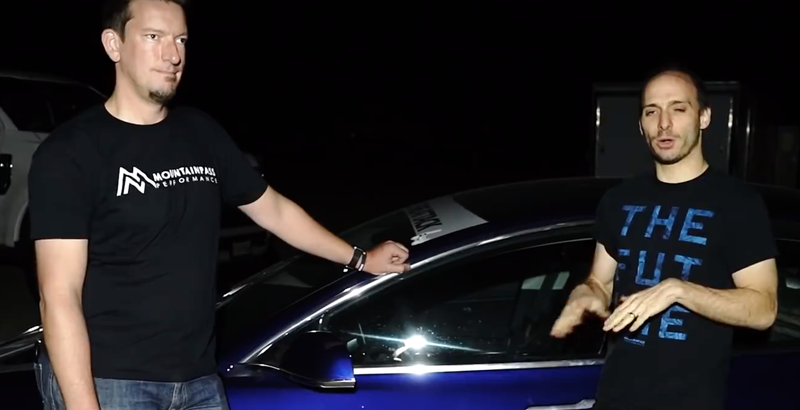 Yesterday, we covered the Tesla Model 3 Performance racer who got disqualified at a Global Time Attack Super Lap event at Buttonwillow Raceway Park because his car wasn’t running on an approved fuel type—i.e. gasoline. He was even pulled mid-podium, according to the video of the event. The nerve!, I thought, as many of you did too. Problem is that’s not exactly accurate. Even though they were DQ’d, the stewards let Mountain Pass Performance race anyway, hoping they’d wouldn’t place and would just enjoy a fun race. Except they were indeed very fast. In the end Mountain Pass Performance asked to be pulled on the podium. “He was totally fine with a DQ, and knew he was in the wrong, he just asked if we could do it on the podium for attention,” Szirka said. “You were the fastest, you were disqualified, what happened?” Anis asked. “...We got protested though, taken off the podium,” Rogers responded, laying the foundation for his house of lies. “In the middle of the podium!” Anis said, grouting the backsplash in the house of lies’ kitchen. While Global Time Attack admitted they probably shouldn’t have played up the podium bit for the cameras of folks looking to go viral (their original video stands at over 81,000 views as of this writing) I don’t blame them here, and neither should you. It’s a dumb rule to exclude EVs anyway. And Szirka assured me that electric vehicles will be welcome at next years’ event. I spoke to Anis briefly, who backed up the events in the video but has not responded to my requests for comment since Global Time Attack reached out. We’ll update if he or Mountain Pass Performance gets in touch. Updated: 11/13/2018 4:15 p.m. ET Mountain Pass Performance say they were disqualified by a legitimate protest and that they learned of their disqualification with just one session left in the second day. Updated: 11/13/2018 3:43 p.m. ET: Mountain Pass Performance was not disqualified from the second day of the Global Time Attack Super Lap event due to using a second driver. They were disqualified for running an unapproved fuel. Mountain Pass Performance were offered to go into Unlimited class, where there are no fuel restrictions, at some point during events on the second day, but decided to be DQ’d instead. Global Time Attack has never pulled a competitor from the podium before.